Nestled deep within the underbelly of Caesar's Palace is a long stretch of mall and beautiful architecture known as the Forum Shops. 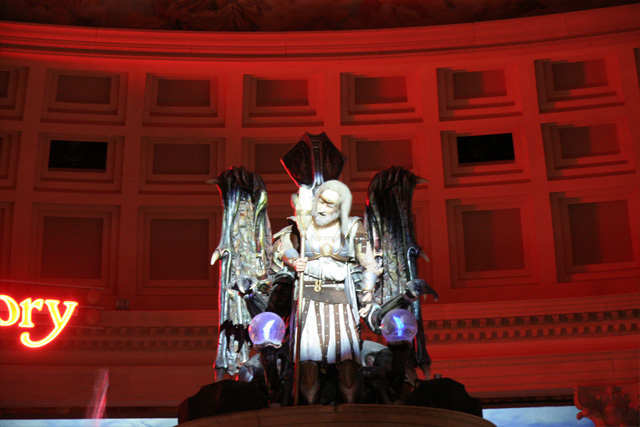 Caesar's theme revolves around the times of ancient Rome, as made evident by the grand foyer of the resort's main entrance. The Forum Shops carry over this gorgeous display with scattered statues, pure white pillars, and even the occasional street entertainer. The real entertainment in this stretch of modern mall shops, outside of the retailers themselves, is a small performance put on not by people, but by animatronic statues. Sure, the concept sounds silly, but so does half of the ideas that make Universal Studios such a fantastic place to visit. 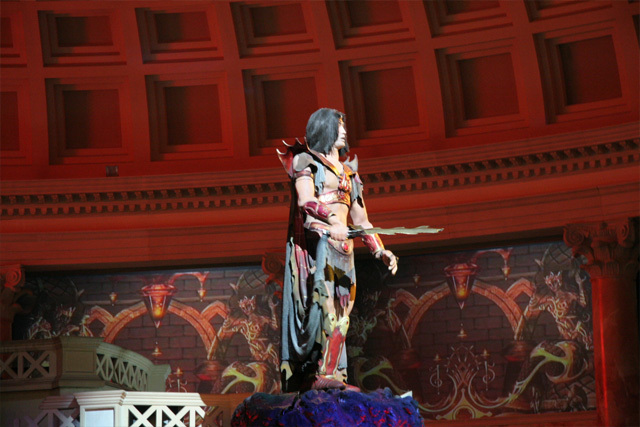 These concepts create on of Sin City's most hidden treasures of entertainment where guests can gather around to watch a rather impressive display of Roman history. Mobile statues, roaring fires, rising fountains, and an exciting conclusion tell the story of the Fall of Atlantis. Watch as King Atlas decides the fate of the city of Atlantis. Does he bestow the kingdom to his daughter or son? The two siblings square off in a brief match of powers, where the show truly heats up as spigots of fire erupt into the air. These aren't parlor tricks, either. You'll feel the flames kissing your skin long after they recede from whence they came. The display of greed and irresponsibility leaves the fate of Atlantis in the hands of the gods, who are more than happy to simply sink the city rather than watch it fall into the hands of such selfish creatures. The entire show is fairly short, but its displays of fire and water make for an exciting addition that you probably weren't expecting when you decided to do a little light window shopping. Arrive early to make sure you get a good spot, as the show is standing room only. Every hour on the hour daily, starting at 11 a.m.